DPP is proud of its collaboration on the Pet Partners® Handler Training Course, an internationally-utilized training and assessment program for handler-animal therapy teams, our affiliation with the national Pet Partners organization, and our partnership with other regional non-profits through the Colorado Non-Profit Organization. We have conducted over 70 successful handler training courses and invite you to attend one of our upcoming workshops. We have evaluated over 1,500 therapy teams for their skill and aptitude to deliver safe, effective AAI. 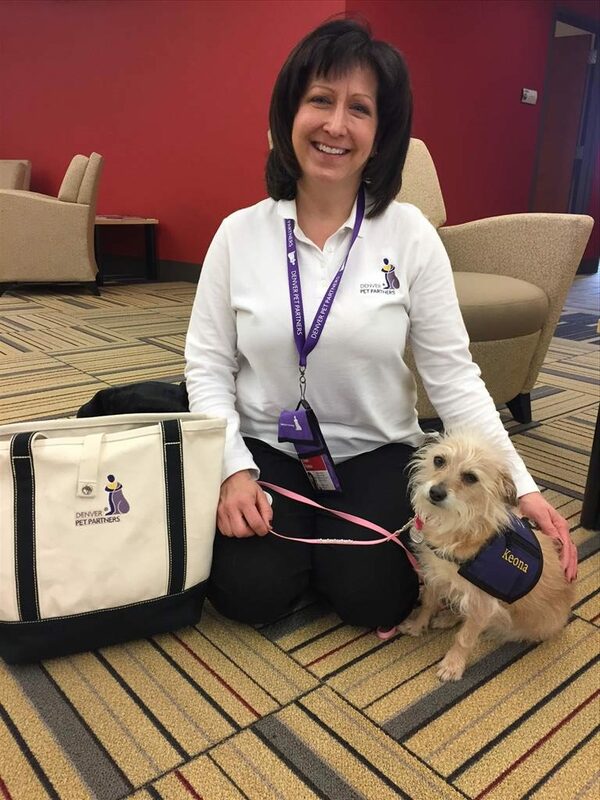 We have had the privilege of presenting at and participating in international and national conferences in the past with the American Humane Association, Pet Partners® and IAHAIO. Our members volunteer/practice in healthcare, child welfare and education, including hospitals, outpatient clinics, rehab centers, hospice agencies, schools, homeless shelters and other settings. We connect persons interested in AAI with community, national, and international resources. We do this as part of the human-animal bond team. We are as diverse as the clients and communities we serve. Denver Pet Partners does not provide teams on an “on call” basis for visiting private homes or for individual visits to non-registered facilities. If you would like to begin a visiting animal program at your facility, please start by contacting our national Pet Partners affiliate organization. Visit this page on the national Pet Partners website for more details. If you are interested in learning how to become a Pet Partners team, please visit this page. DPP members and students may contact our local office at info@denverpetpartners.org.